Chocolate Mint patties between two crunchy pretzels. 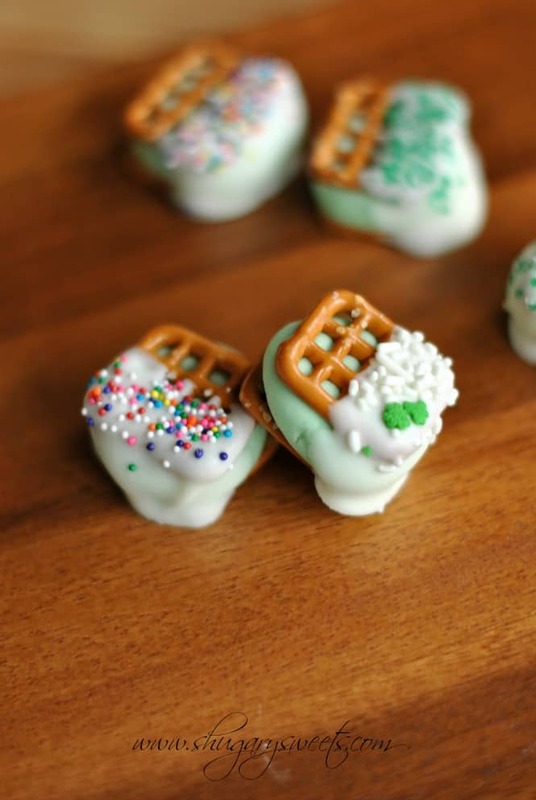 Dip in white chocolate and add sprinkles for a festive St.Patrick’s Day touch! This is what happens when Homemade Peppermint Patties mate with Cherry Cheesecake Pretzel Bites. The best of both recipes in one delicious bite. So the day I was making these bites, I originally had no idea the center would be green. I planned on just using the same filling as my peppermint patties. I thought about using some green candy melts to drizzle on the white chocolate for pizzazz, but not actually making the filling green. Then I reached into my cabinet and realized I was out of peppermint extract. So I headed off to the store, grabbed a bottle of extract, made my way down the baking aisle and stopped cold in my tracks. There, calling my name “AIMEE, AIMEE” was a packet of Duncan Hines frosting creations. Have you seen these yet? I have seen them before. I have heard they are wonderful. But I had never bought one myself. However, that changed. The flavor was “Chocolate Mint” and it was green! So my mind immediately thought, this could work by substituting the peppermint extract for a packet of this flavor mix. Guess what? It totally worked. And it’s perfect for St.Patty’s day, don’t ya think??? Want more Green ideas? You’ve come to the right place! 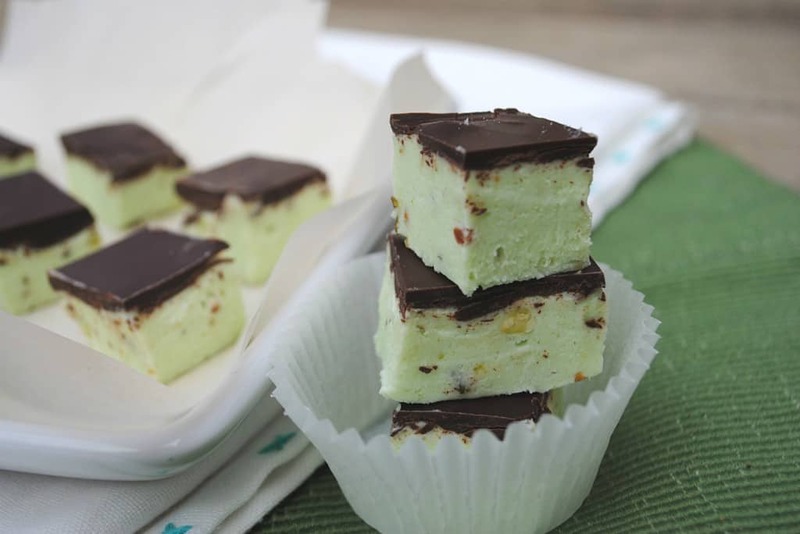 Pistachio Fudge: I seriously love all fudge, but pistachio fudge is just amazing. The end. 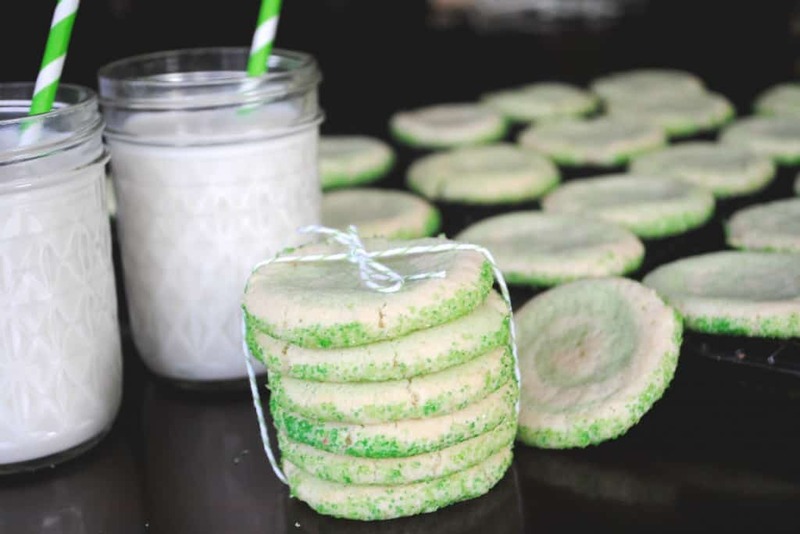 Lime Swirled Icebox Cookies: these are great to have on hand! Just make the dough ahead of time and place in your freezer. Slice and bake! 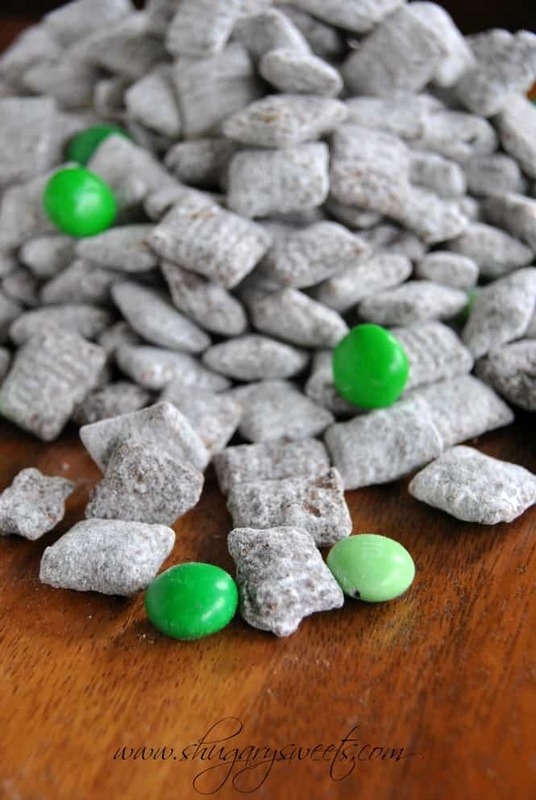 Thin Mint Puppy Chow: mint chocolate bars and Chex make for the best copycat Thin Mints around! 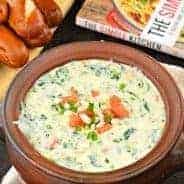 Add some green mint m&m’s and you have one delicious recipe to serve a crowd! Chocolate Mint patties between two crunchy pretzels. 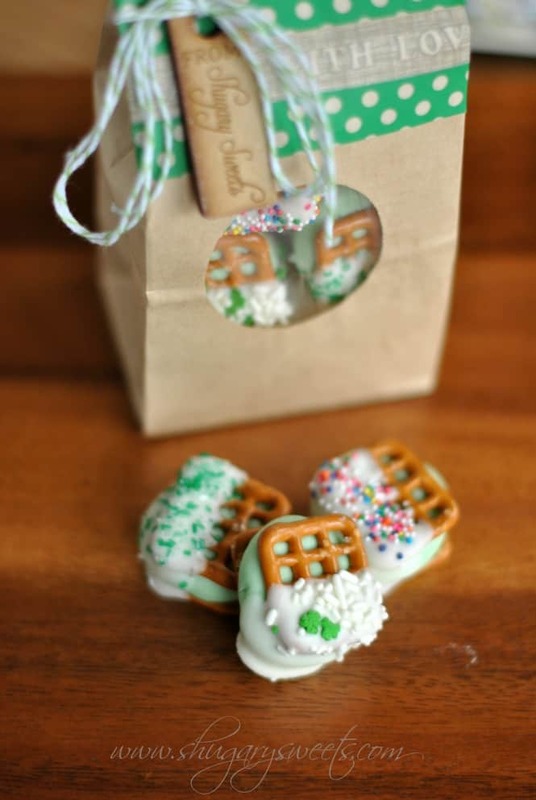 Dip in white chocolate and add sprinkles for a festive St.Patrick's Day touch! In large mixing bowl, beat marshmallow cream with butter and chocolate mint package. Beat until fully combined (you can substitute 1 tsp peppermint extract and green food coloring if desired). Add in powdered sugar and mix on medium speed until well blended. Add milk, one teaspoon at a time, until consistency is correct. Should come together in one ball, about the consistency of play-doh. Using about 1 tbsp of filling, roll into balls. 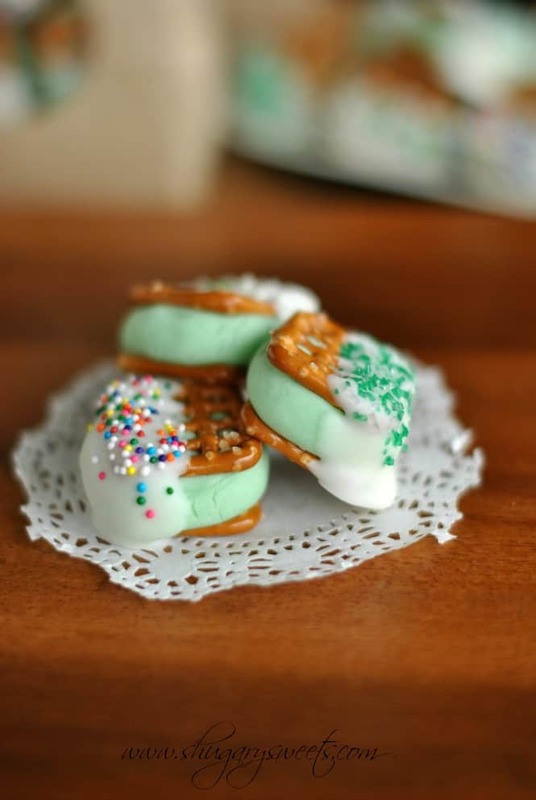 Press one ball of mint filling between two pretzel snaps, lightly. Dip end of pretzels into melted vanilla chocolate, tap excess off on side of bowl. Add sprinkles immediately and lay on parchment paper lined countertop. Repeat until all filling is used. Store at room temperature in a covered container. ENJOY! They worked out great! And, since I use a lot of gelatin and pudding mixes for flavoring, i think these will substitute nicely! These look insanely addicting. I bet I could eat the entire batch in one setting. It does make 72 bites, so one sitting would be hard! But you will definitely eat your fair share! 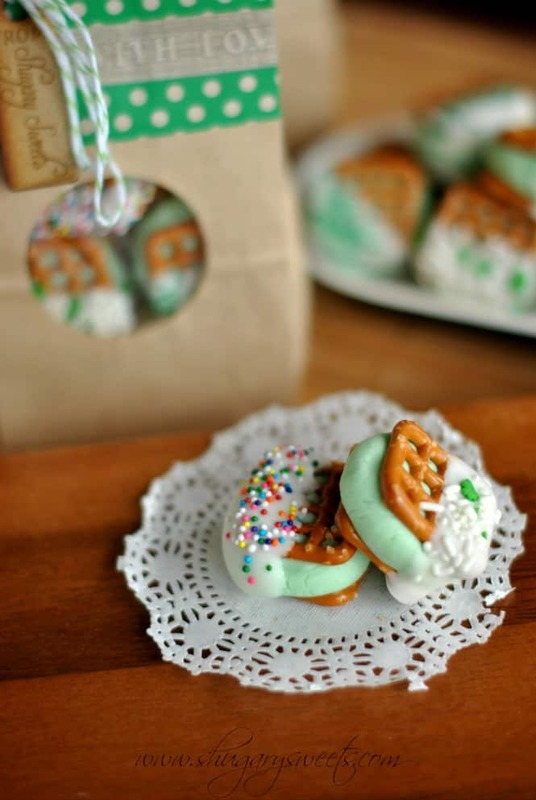 These are so cute and festive for St. Patty’s Day! Thanks Natasha! Cute, festive and totally easy! Oh yes I can get behind this! These are gorgeous Aimee! I used that same packet for a recipe later this week. The flavor is so great! These are so cute and so perfect! I love them!!! I love chocolate and mint together! They look very festive. I bet they would make a great classroom treat too! Yep, perfect in a little bag with a cute tag or sticker on them!! How cute! They look absolutely delicious. WOW, these look so yummy! I am going to have to try this, my kiddies would love them! 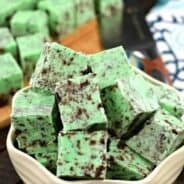 Yeah, my kids love mint so these went pretty quick! Oh my word, Aimee! I totally fell in love with your cherry cheesecake pretzel bites, and now refreshing chocolate mint?! I die!! PS, I am super obsessed with those Frosting Creations, too! I’m stocked for life in my pantry, haha. I think I found a new product I’ll be using again soon!!! thanks Hayley! How cute are these; and they sound super addicting! I love anything with mint! So festive for St Patricks Day!! So cute! And so festive! I could definitely snack on these right now! Well come on over Chung-Ah!!! LOL. 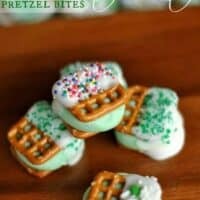 I love the time of year when things go all green and minty 🙂 These looks cute and tasty, perfect to bring to a St Patricks day party! These look so good and festive. I love easy snacks that taste great and look fun! Nice! I have seen those Duncan Hines Frosting Creations. This is a very cool creation! Minty cool, in fact! I love mint, and this time of year, you need plenty of green options. This is a great option! Nice job! I have another recipe coming soon with the Duncan Hines packets….they are a great addition of flavor!! I haven’t heard of these frosting creations before but then again, I haven’t been on the American continent for a while now. 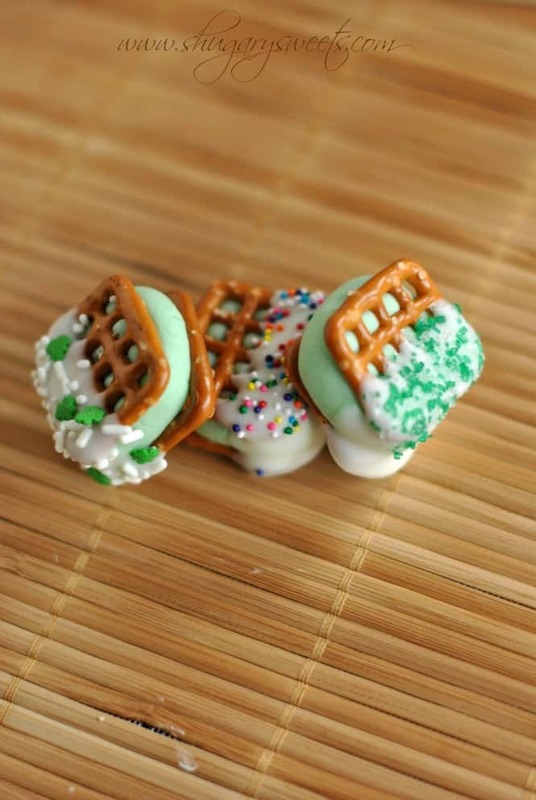 But I love the idea of chocolate mint pretzel bites. Since seeing you cherry ones I keep an eye open for pretzels at the stores here. Yep, another fabulous idea Aimee! I have to try those frosting creations! Great pic too! I have seen the frosting creations on the shelf of the supermarket but never bothered to buy them. Now I have an excuse to! These little bites are adorable. Thanks Nicole! Give them a try, you won’t be disappointed! I have to make those to surprise the little one for her school lunch! 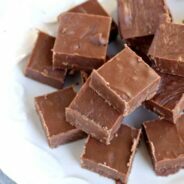 If this is the byproduct then I think all of your desserts should mate once and awhile! Okay, that sounded sort of creepy and/or weird sooo moving on – I love the chocolate mint frosting creations flavor – it’s so crazy how perfectly spot on they get the flavor! 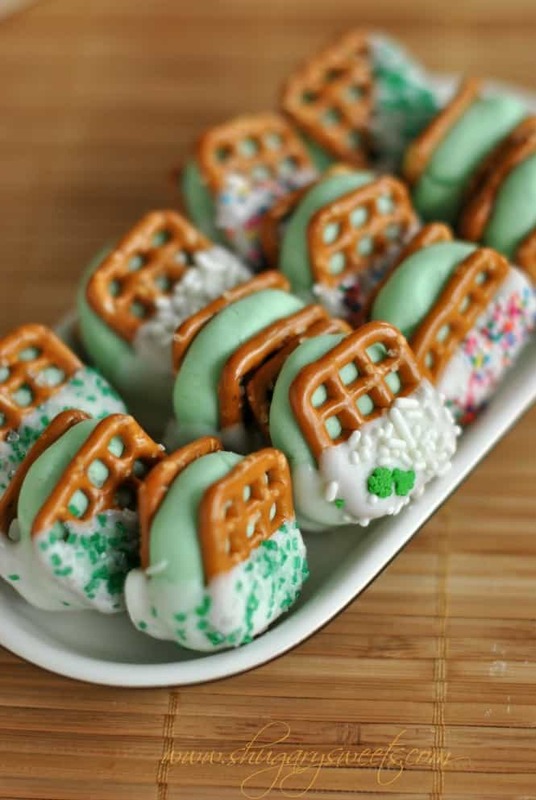 And I love these not only for St. Patty’s but even for Easter 😀 yum. These are adorable! I love pretzel bites! 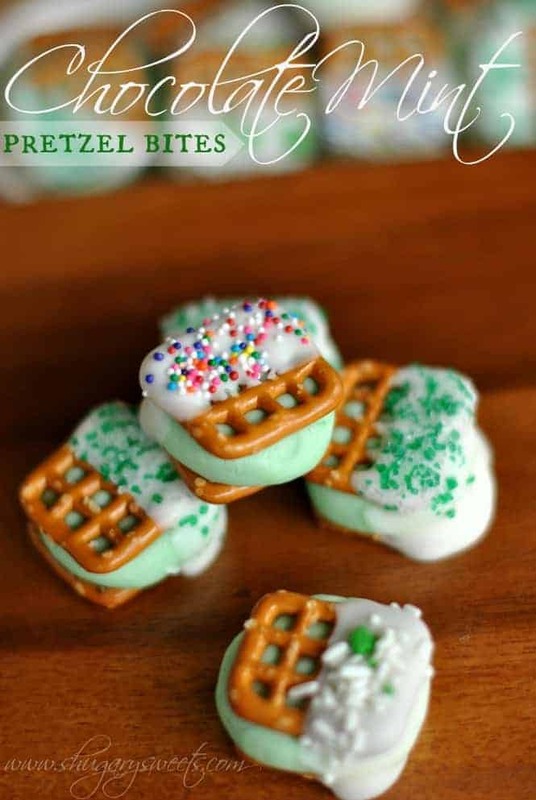 Love these pretzel bites, Aimee! Too cute! Thanks Robyn! Too easy to make too. Oh and easy to eat! ahh – that filling sounds amazing – I’ll definitely have to try these!!! Beautiful photos! Thanks Sarah, they are quite yummy! These look delicous; I love mint! What a fun party treat! These are so cute and tempting! Yum! I made these last night…they were so much fun to make! So festive and delicious!